For this article I am going to focus on iOS (because that is what I have), there is probably an android way of doing this too. If you find one, send me some screenshots! 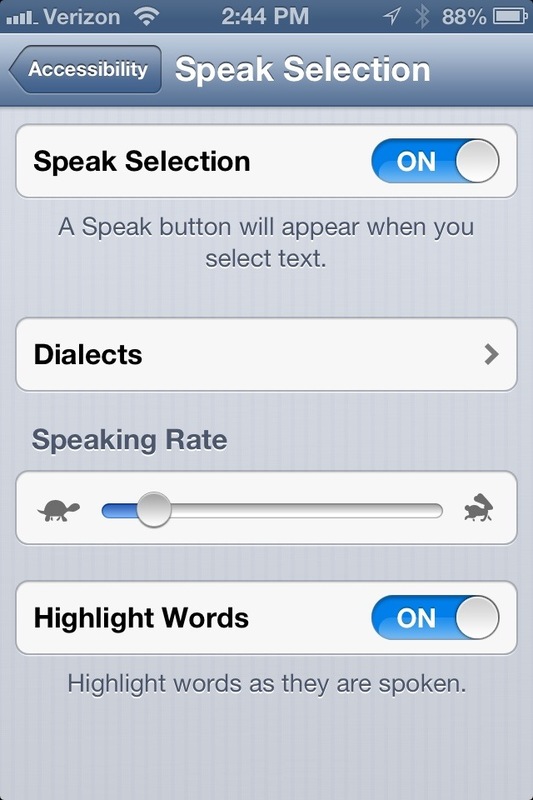 First, you need to set up the speak selection setting from, Settings > General > Accessibility; then, turn on speak selection and change the speech rate to something that is easy for you to follow. Now that you have your phone setup, I recommend installing an app which allows you to easily read posts later. Personally, I like Pocket (formerly Read It Later). This is a great app because you can install a browser extension and then install the mobile app for a simple and seamless sharing solution. 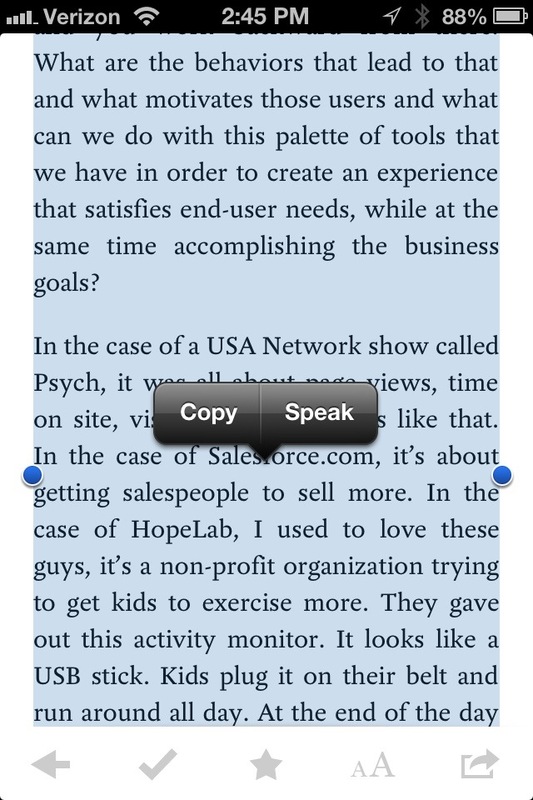 Once you have installed the app and bookmarked your content, fire up the app and select all of the text. Since turning on the speak selection feature you can now see a speak option next to copy. Click speak and enjoy! As always, let me know what you think in the comments below!